Larry Thompson... 4 Generations of Network Marketing, over 50 years in Home Based Business and worked with Jim Rohn for decades! Larry & Taylor Thompson are one of the most influential power couples in the network marketing industry today. Combined, they have over five decades of direct sales experience and success as distributors, executives, consultants, and mentors to companies, groups, and high-profile leaders worldwide. Their reputation in the multi-level marketing industry is unmatched - together they are a dynamic force which is unparalleled. Larry Thompson has been instrumental in the startup of many network marketing companies and responsible for their ongoing success. He is well known as the driving force behind Herbalife International's growth into greatness. His sales and marketing philosophies created the foundation which catapulted Herbalife into the giant they are today. Billions of dollars in sales in multiple companies can be traced directly back to Larry’s personal influence. Like Larry, Taylor Thompson started her career in direct sales as the classic stay at home mom. She has ultimately developed into an international speaker, successful mompreneur, and a trainer and coach responsible for mentoring company executives, leaders and distributor groups world-wide. Larry and Taylor’s success revolves around their passion and unique ability to help average everyday individuals who aspire for more in life to connect with the essential skills to do so. They possess a near magical ability to inspire people from any walk of life to achieve their goals of financial independence, as well as success in all other areas of their life. Several decades ago, the industry dubbed Larry as, “the Mentor to the Millionaires” and The Wall Street Journal labelled him “The Original Architect of WealthBuilding.” Larry’s 1981 recording of Millionaire Training changed the industry forever when he shared the core fundamentals, tactics, and strategies required for success in Direct Sales. It is still unequalled to this day. Larry and Taylor were married in 2005 and have since become one of the most influential power duos in the industry today. Tony Cannuli Over the 30 years in Home Business Tony has been a significant leader growing and developing network organizations doing hundreds of millions in sales also serving as a Master IBO and and company executive, VP of Sales and Marketing. For over 10 years a startup consultant to over 50 direct selling companies. Current COO, MLMIA A 33 year old direct selling trade organization and responsible for education and teaching best business practices with a major focus on advocacy and protecting the consumer. Tony is A HUGE Advocate for the UNDERDOG! Currently shifting the MLMIA into the the only real advocacy voice in direct selling..In 2017 launched ongoing virtual Direct Selling Town Halls with seasoned key influencers in direct sales to discuss challenges we all face in running a home based business. Tony was the Marketing Director for HBRN - The Home Business Radio Network with a group of over 30 of the greatest business minds on the planet including Motivational Icon Zig Ziglar.. Tony helped HBRN grow to 1 million + listeners in over 100 countries in 18 months. 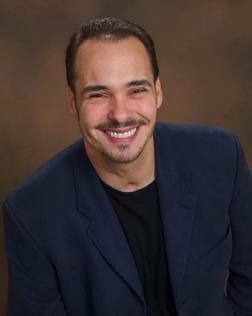 He is the host of the Slight Edge Zone, Supporting Direct Sales/Home Based Business with Interviews from Amazing Entrepreneurs from across the Globe on the Home Business Radio Network and has had hundreds of the most successful distributors and company owners as well some of the key influencers in business today along with many professional athletes. Some recent examples include: Tom Hopkins, #1 Sales Trainer in the world. Ivan Mizner founder BNI, The largest Networking organization over 8000k chapters World Wide. Jeff Olson Author The Slight Edge and Founder Nerium. BK Boreyko, Vemma Founder has been many times. Danny White NFL Quarterback Dallas Cowboys. JJ Birden NFL Wide Receiver Kansas City Chiefs. 100 million dollar earner Jeff Roberti, 100+ million dollar earner Brig Hart. Tony is a frequent guest host on the oldest and largest radio show in direct sales, the Tom Chenault Show. **Tony also Co-host a show, Conversations With A Legend with Larry Thompson one of 3 key influencers in Direct Sales and a founder of Herbalife. Tony is excited and on a mission to be a catalyst of positive change with an online community he is developing, AskaChampion.com, launching 2018.